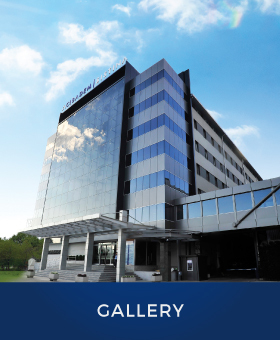 Acibadem Sistina Hospital continiusly invests in providing new and modern medical technologies. All hospital departments are equipped with highly sophisticated medical equipment. TRILOGY is a linear accelerator which uses three methods of radiotherapy (IGRT, IMRT and SRT / SRC). The power of TRILOGY is its important advantages in patient treatment. IGRT (image-led radiotherapy) combines new technologies which enable determination of the tumor location during treatment. IMRT – radiotherapy with modulated intensity, enables higher doses of radiation therapy as well as maximum protection of the surrounding healthy tissue. The SRT / SRC technology allows radiotherapy and radiosurgery. 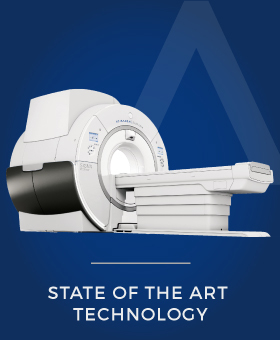 With the help of the three technologies, TRILOGY produces effective radiation therapy of tumors with small dimensions. Thanks to the properties of TRILOGY, specialists can perform the intervention for a smaller period of time and in a more successful manner. The cardiovascular center is equipped with 2 digital angiographs, with a section for anesthesiologic support. The angiographs have the opportunity for an increased image quality, powerful tube and generator, and improved range of filtering. The clear image enables precise imaging of even the smallest blood vessels. Invasive gastroenterohepatologic, pulmonologic and neurologic interventions are performed with their help, despite all kinds of diagnostic and interventional vascular procedures. 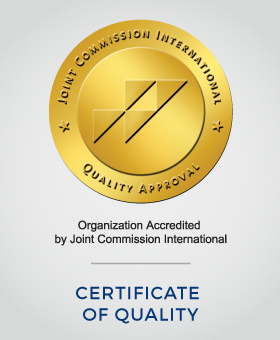 PET / CT is one of the most effective diagnostic methods. It is used for diagnosis of various cancer types, determining the stage of the disease, treatment planning and monitoring of the treatment effect. By using PET / CT, tumors can be identified in their early stage and the exact location of tumors can be detected, even the ones that are 5 mm. PET / CT plays an important role in cardiology for diagnosis of ischemic heart disease, in neurology for epilepsies and dementia, as well as in other inflammatory diseases. 3 Tesla MRI is the most sophisticated magnetic resonance imaging device, available for the first time in our country at Acibadem Sistina Hospital. The imaging time with 3 tesla MRI is reduced by 30%, compared with 1.5 Tesla MRI. At the same time, the double power of the magnetic field enables accurate presentation of the internal structures and organs, as well as detection of the changes invisible to 1.5 Tesla MRI. The improved patient comfort during the imaging process is made possible with the 70 cm wider cylinder. The comfort is complemented with a wider imaging table with patient load capacity up to 250 kg. Full body scan can be performed only with the MRI device with a power from 3 Tesla. Magnetic resonance imaging is advanced medical technology used for diagnostics of changes in body systems and organs (head, neck, spine and spinal cord, lungs, abdomen, biliopancreatic tree). At the hospital, magnetic resonance of organs and body systems is provided, as well as functional MRI (diffusion, perfusion), myocardial perfusion scan, blood vessels, a safe MRI of the fetus, MRI of the breast etc. As part of the magnetic resonance, the latest anesthesia apparatus allows safe scanning to be performed to the most indisposed patients and patients with photophobias. GREEN LIGHT is a highly advanced laser treatment of enlarged prostate in men. During the treatment, the laser beams quickly and accurately remove the excess tissue from the prostate resulting in purification of the urinary duct and return of the natural urine flow. The entire treatment is safe, effective and simple, without the risk of damage to the surrounding tissues and blood vessels. The advantages of laser treatment compared to the conventional surgical interventions are: no surgical incision and no bleeding; only 30% of patients require a catheter after in the intervention; disappearance of the symptoms the same day; no risk of erectile dysfunction or postoperative impotence. The most modern panoramic and 3D digital x-ray device Orthophos XG3 allows a lower radiation dose for the patient up to 60% and better image quality. This technology provides a 3D panoramic image of the patient in order to obtain an accurate diagnosis and the opportunity for precise dental procedures. Orthophos XG3 is the first device in the region that provides computer installation of implants. Computer tomography in all organs and systems provides virtual bronchoscopy and colonoscopy, imaging of peripheral, neck and heart arteries, perfusion examinations and interventional procedures (biopsies, drainages). By installing the sophisticated equipment, a lower dose of radiation up to 40% is enabled. The software solutions of the devise enable treatment of many diagnostic procedures for a short period of time. The most sophisticated and most modern dynamometer provides assessment and rehabilitation of the musculoskeletal system. Accurate information regarding the state of the muscle power and range of movement of separate parts of the extremities can be obtained. Biodex system 4 is a system which can determine the physical difference and functional limitations of certain parts of the body in a fast and precise manner, wherein numerical and graphical data are obtained which provides information for further treatment and an opportunity for complete rehabilitation. The digital mammography uses the computer image of breasts, obtained by a digital detector. It enables a higher resolution and greater manipulation of images, wherein they can be zoomed in specific areas for a better analysis. The examination lasts for 5 minutes. Mole Max HD dermatoscope is a cutting edge version in the world and the only one in the country, offering fast and accurate body scan mapping with full HD-resolution. The devise has the ability to measure the mole size, analyze it, map and locate the changes and digitally archive the photos, which is particularly important in mole monitoring. At the next scanning, the current condition of the moles can be compared with the previous ones. Detection of such small changes enables detection of the first signs for skin cancer. Only Mole Max HD can analyze all moles on the body with one scan. Acibadem Sistina Hospital disposes of the latest generation of electro-hydraulic lithotripter from the renowned manufacturer, the French company EDAP TMS. This lithotripter provides the best results in terms of fragmentation and elimination of stones that can be achieved with the electro-hydraulic method. The advantage of this method is that it is an outpatient procedure, does not require hospitalization and the patient can leave the hospital one hour after treatment. In addition, there are other advantages that allow the braking control to be carried out in two ways, under X-ray and under ultrasound control. Also, unlike other devices for this purpose, there is no need for ECG control and patients with implanted pacemaker can be treated under electrophysiological control of a cardiologist. The success rate of this device is 90% for stones of 1,5cm and 75% for stones larger than 1,5 cm. The operator doses the intensity of energy. This sophisticated device enables accurate and precise measurement of bone density in patients with osteoporosis. Despite the possibility of setting early and accurate diagnosis of osteoporosis, this device monitors the effect of treatment as well. The imaging is painless and for a period of 10-20 minutes a complete image of the bones density can be obtained. The Nuclear Medicine Department has a compact multifunctional SPECT camera with two detectors that allow performance of a wide range of nuclear medicine diagnostic procedures. The sensitivity of the gamma camera, as well as the protocols for post processing, provide a diagnostic quality of the obtained images at the cost of reduced radioactivity dose to the patient. The gamma camera is integrated in the communication system between the modalities and archiving data, thus providing an option for hybrid SPECT / CT, SPECT / MRI fusion of images.